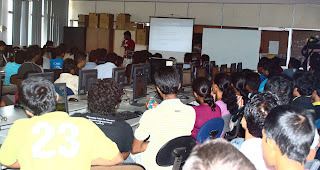 Google Open-Source blog has provided a coverage report for the Google Summer of Code meetup we held at University of Moratuwa on March 17th 2012 . The session has caught the eyes of Stephanie Taylor, and Carol Smith who are from The Google Open Source Programs Office, and showed interest to make it to a blog post. It can be found at the following link. The content is provided below. GSoC 2012 Logo. Image credits: Google Inc.
Special thanks goes to Dr. Chandana Gamage, Dr. Shehan Perera, and Ms. Vishaka Nanayakkara for providing your fullest support for the session. Thanks to all my friends including Nisansa, Pradeeban, Thilanka, Shelan, Subash, Suho, IsuruU, Nirmal who contributed to make this a success. I heard the department is giving 10 marks for students in 3rd year who get selected into Google Summer of Code. That's great news since it will motivate the students a lot. 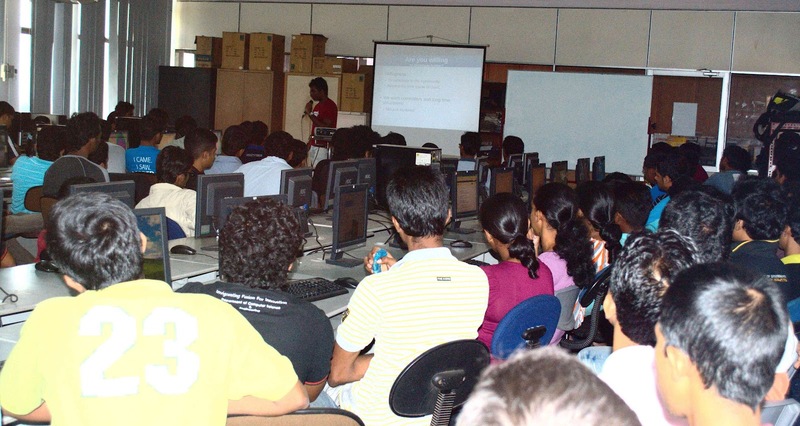 We held our fifth Google Summer of Code meetup in the Moratuwa, Sri Lanka area on March 17th. We had enormous support from the Department of Computer Science & Engineering staff at theUniversity of Moratuwa to make it a full scale session covering many of the aspects of the program that are important to students. We had almost 150 students (a record high) in the morning introductory sessions and around 40 students during the afternoon sessions that were geared more toward second and third year university students. Kathiravelu Pradeeban delivered an excellent 80 minute Google Summer of Code information presentation focusing on general open source fundamentals from how to communicate within open source communities to proper email/IRC etiquette to open source culture. He also discussed general information about Google Summer of Code such as important dates for the program, how to apply, guidelines on how to write project proposals, and some ideas to think about when deciding if a project is a good fit for you. In later sessions there was more of a focus on open source technologies with demos on how to effectively use these technologies for open source development work. The students were very excited about the program, and asked many questions both publicly and to us individually after the session ended. We tried to clear up doubts students had about their own ability levels and encouraged them to participate by showing some of the great opportunities of working on a real-life project rather than the fake projects that they do at university most of the time. We also explained about the value of having connections all around the world and the spiritual happiness open source projects bring in general. Those of us that had participated as students with Google Summer of Code shared our experiences including one participant whose Google Summer of Code project caught the eye of a well known IT company who hired him. Good luck to those students currently applying for Google Summer of Code!